We are pleased to announce our new staff member! 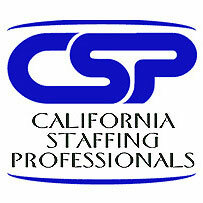 Lori Jacobson joins us as an additional Staffing Recruiter. Lori has over 10 years of experience in recruiting covering a broad spectrum of client industries and encompassing searches within all layers of the job market. Lori most recently has been working within the banking and financial arenas, but her expertise in clerical and management positions will be a welcome addition. With the volume of increased recruiting and staffing needs from our clients, we will put her skills to use immediately. We are fortunate to have such an accomplished and driven teammate.